Would you like to be an engineer? Would you like to know about engineering as a career? Not certain if engineering is for you? Well, this is a good place to start to find answers to your questions! And Teachers will find some good information here too! Ryerson Polytechnic University faculty, staff and students run this program. The goal is to raise awareness about careers in engineering among all high school students. The workshops are run in co-ed classroom environment and while not just for female students, female presenters are used to provide positive role models. Each workshop begins with a 15-20 minute discussion about what Engineering is, how it applies to our daily lives, and about opportunities in engineering. After the discussion, a hands-on activity will take place followed by a question and workshop evaluation. Discover Engineering web site combined with Zoom, a popular PBS television show for children ages 6 – 11, provides exciting resources for children exploring the profession of Engineering. Designed to motivate and help kids develop problem-solving skills, this site also provides positive images of engineers. Interactive links and tools, including games, sites of interest, videos, virtual tours and downloads combined with training and outreach events, bring the exciting world of engineering to kids. The site is geared to children. Through the use of science and math, engineering has helped to create the technologically advanced world that is often taken for granted in modern times. Although engineering is responsible for many modern marvels, its use can be found centuries in the past, as far back as ancient times. While engineering has historically been a field dominated by men, they are not the only ones to have made major accomplishments in this area. There have been, and continue to be, numerous highly successful female engineers. While their accomplishments are well-known, their names may not be universally recognized by those outside of their field. Through education, people can acknowledge and celebrate the contributions of famous female engineers and, as a result, encourage more girls to pursue engineering as a future career path. The Engineer Girl website is part of the National Academy of Engineering’s Celebration of Women in Engineering project. Bright, energetic girls - just like you - from all around United States and Canada helped the National Academy of Engineering with this site. It has fun facts, links to other sites, and information on great achievements of women in engineering, careers and more!! This website answers all the frequently asked questions on engineering including what it is, if a career in engineering suits you, what engineering technology is about, and lists the 20 Greatest Engineering Achievements of the 20th Century. It also has information on contests, a self-assessment quiz and a resources list. Visit this one-stop shop to find out everything you want to know about engineering as a career. The Generation-E web site provided by the Association of Consulting Engineers of Canada, provides students with an interactive exploration of engineering innovations, career paths and opportunities, with supporting resources for teachers and guidance counselors. The site provides links covering 14 different fields of engineering with profiles in particular engineering disciplines along with a downloadable career magazine for Canadian university engineering students, containing articles of interest. The site is geared to secondary students, university students, teachers, and guidance counselors. CEMF would like to thank Alyssa Roberts, Grade 6 (2016), for bringing this resource to our attention. JETS promotes interest in engineering, science, mathematics, and technology, and is dedicated to providing real-world engineering and problem-solving experience to high school students. The goal is to challenge students to discover engineering in high school by putting them in touch with engineers, showing them what engineers do, and demonstrating how the math and science concepts they are learning in class are applied in real life to engineering problems. Through competitions and programs, JETS serves over 30,000 students and 2,000 teachers, and holds programs on 150 college campuses each year. Hockey is a real playground for science and engineering. It involves the physics of ice, the biomechanics of skating, collisions between players, the slap shot, puck ballistics and aerodynamics, just to name a few. Here is a great novel website developed by two Canadians who play the game and just happen to be professors at the University of Moncton! The Association of Professional Engineers of Nova Scotia (APENS) has a page on its website just for students! Find out about careers in Engineering, accredited university programs in Nova Scotia, the benefits of being an APENS student member or read one of the diaries of engineers working in various fields. Vega Science Trust is a not-for-profit organisation that promotes, science, engineering and technology. Of particular interest are the Trust's set of career programmes – Snapshots at http://vega.org.uk/video/series/10 . 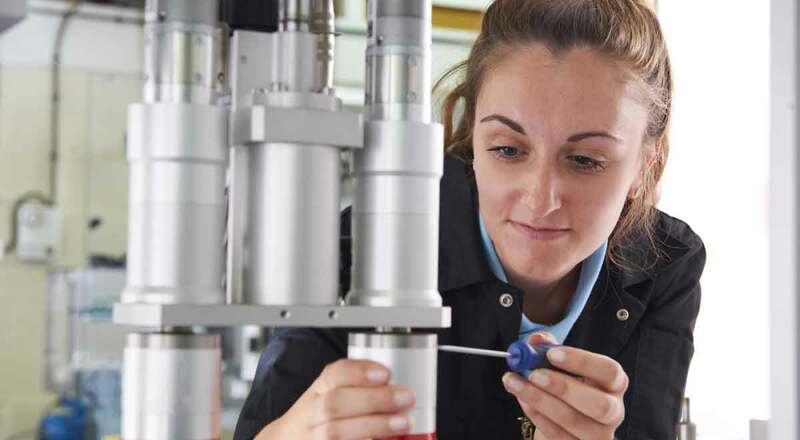 Two of the short 15 minute programmes feature young women engineers. All programmes aim to show the day in the life of a young scientist and stream without payment from the Trust's website.